Daily Bible Verse 101: I do not know you, madam. "Amen, I say to you, I do not know you." (Matthew 25: 12). These are the words of the bridegroom [Jesus] to the Five Foolish Virgins. God forbid that anyone of us will hear this sharpest of rebukes on the Last Day. Yet the Foolish Virgins behaved very foolishly. They were duly warned. Be prepared. 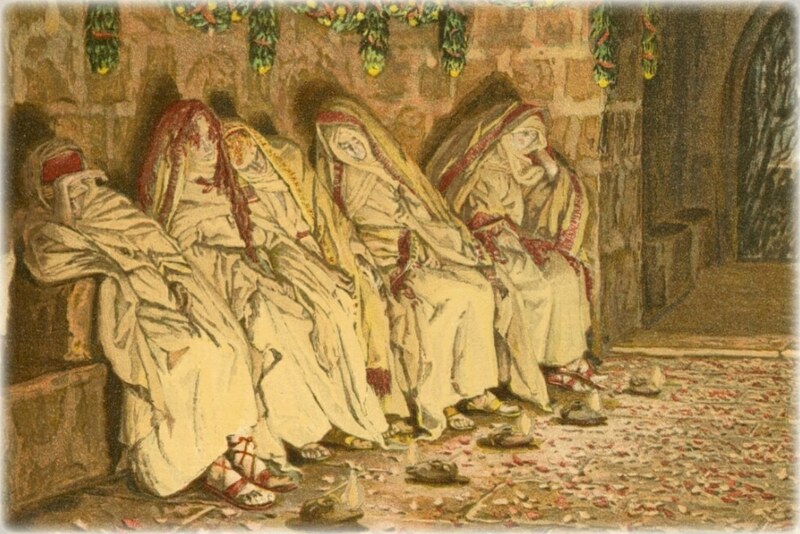 The Bridegroom has a reputation for being delayed. Expect this. They failed to heed the warning. "Everyone who acknowledges me before others I will acknowledge before my heavenly Father. But whoever denies me before others, I will deny before my heavenly Father." (Matthew 10: 32 - 33). Those who are perishing call such warnings foolishness but to us who are being saved it is the wisdom and mercy of God. (Cf 1 Corinthians 1: 18). "Everyone who belongs to the truth listens to my voice.” (John 18: 37). Do you belong to the truth? Do you recognize the voice of the Good Shepherd? "Therefore, stay awake, for you know neither the day nor the hour." (Matthew 25: 13).